It is an inorganic chemical compound that is twice as hard as any steel grade steel and much denser than titanium or steel. It is pressed and sintered to become all kinds of strong, durable metal products, parts and tools. There are over 20 different grades of tungsten carbide, which have differing grain size, hardness, tensile strength and melting point properties. Tungsten carbide is very useful in the metalworking, mining and construction industries. 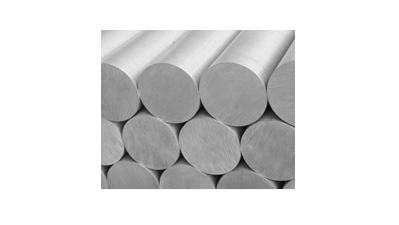 In fact, 60% of all tungsten carbide products are manufactured for applications within these industries, where it is quite useful for its tensile strength and hardness. Drilling equipment, tools, industrial machinery components, weapons and construction equipment are all sometimes fabricated from tungsten carbide, which has a high heat resistance, though can become brittle under high pressure. Besides heavy duty equipment in industrial applications, tungsten carbide is also used to make jewelry, especially wedding bands. When polished, the metal alloy’s surface is dark, lustrous and very hard to scratch. Individuals with allergic reactions to gold and silver often wear tungsten carbide jewelry as a safe alternative. Sports equipment like trekking and skiing poles, snowmobile spikes and vehicle studs are often made of tungsten carbide. Additionally, various domestic products, such as ballpoint pen tips, are also made with tungsten carbide. While whole tools and parts are made out of tungsten carbide, many are just coated in a thin layer of the alloy through a chemical vapor deposition process. This improves the lifetime of tools by many years. In its base form, tungsten carbide is a fine grey powder. In order to form solid products, the powder is subjected to high heat and pressed into a mold; a process known as sintering. The sintering takes place in a large industrial oven and items are fabricated in high volumes. The powder material is heated until it is compacted and easily formable. It is then pressed into a mold in the shape of a certain product and left to bake for several minutes. Following the cooling process, the tungsten carbide product undergoes a series of post fabrication processes, including polishing and finishing. There are only a few existing materials that are able to polish this hard metal, two of which are silicon carbide and pure diamond. Tungsten Carbide Tungsten carbide is an extremely strong and wear resistant metal alloy that is half tungsten, half carbon alloy.